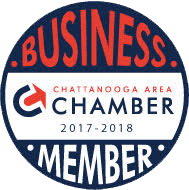 Since 1945, Wagner & Wagner Attorneys at Law has been serving the clients of Chattanooga and the surrounding areas, including Chickamauga. 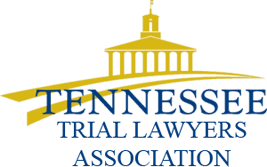 Our team is committed to helping the good people of Chickamauga through the difficulty of experiencing a serious injury or other legal matter. Being a Civil War historical site, we know Chickamauga is full of rich history and culture. Its residents and visitors deserve to have their rights protected under the law. Cars. When two cars collide, the results can be catastrophic. Passengers and drivers may be thrown through the front windshield or slam their head into a window. Obtaining legal counsel after a car accident helps ensure you have adequate funds for your medical treatment and future expenses. Commercial trucks. Drivers are right to be afraid of driving next to a large truck on I-24 or I-75. A truck accident can total a smaller car in an instant, leaving the driver and passengers severely injured. Motorcycles. Being thrown from a motorcycle is terrifying. You have little protection and you might sustain life-threatening injuries. If another driver is at fault for your motorcycle accident, consider taking legal action against them. Pedestrians and bicycles. You never expect to be hit by a car when riding your bike or crossing the street. Yet, distracted drivers are causing more pedestrian accidents and bicycle accidents than ever. We offer full-service, comprehensive representation to those with spinal cord injuries, burn injuries, traumatic brain injuries and more. Our compassionate team also serves clients who lost a loved one as the result of wrongful death. Premises liability. When an unsafe or defective condition on someone else’s property leads to injury, premises liability law helps protect the injured individual. Landowners and tenants are responsible for maintaining safe property. You may be entitled to compensation if they fail in that duty. Product liability. Manufacturers, suppliers and retailers who make products available to the public are required to ensure those products are safe. If a manufacturing defect, design defect or a failure to warn causes you harm, we can help you learn more about product liability law. Nursing home abuse. When someone you love is unknowingly placed in the care of negligent or malicious nursing home staff, the results can be tragic. Your loved one may have been abused, neglected, sexually assaulted or financial exploited. Workers’ compensation. The law provides benefits to those hurt while on the job. Workers’ compensation benefits, however, may be difficult to obtain. A lawyer can help. Chickamauga is in Walker County and is part of the Chattanooga, TN–GA Metropolitan Statistical Area. Originally settled by the Chickamauga and Cherokee Native Americans, this is a town with deep cultural history. As this was a major battle site in the Civil War, many museums and landmarks are nearby: the Chickamauga & Chattanooga National Military Park, Lookout Mountain, Lee & Gordon’s Mill, McLemore’s Cove and Battle of Davis’s Cross Roads site. If you have an emergency in Chickamauga or need to file a police report, call the city police at (706) 375-3177. The police station and local courthouse can be found at 103 Crittenden Ave and you can call them at (706) 375- 3172. The Walker County courts are located in Lafayette, GA.
Wagner & Wagner Attorneys at Law houses of team of experienced Chickamauga personal injury attorneys who care about the community and care about you. 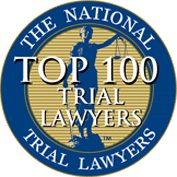 As a client, you will always be more than a case number to us. To schedule a consultation, call 423-799-3532 or fill out our contact form.